Late of Port Macquarie. Passed away suddenly on Saturday 30th March 2019. Dearly loved son of Ron (dec) and Wendy. Much loved brother and brother in law of Natalie & Keith, Aleisha & Tristan. Loving Uncle of Charlie, Max, Banjo and Oscar. A special nephew to Leon & Betty Andrews, Jeff & Helen Cox. Will be dearly missed by all his extended family and friends. 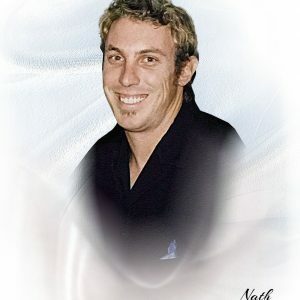 The relatives and friends of the late Nathan Williams are respectfully invited to attend his Funeral Service to be held in the Chapel at Manning Great Lakes Memorial Gardens Crematorium, 183 Pampoolah Road Taree, commencing at 11.00 am on Monday 8th April. Donations in lieu of flowers to Beyond Blue would be warmly appreciated.